There are two main types of merchant services providers: all-in-one solutions that offer a point-of-sale (POS) interface as well as payment processing, and traditional merchant services providers. All-in-one solutions make it easy to manage everything in one place, making it the best for small businesses, while traditional merchant services offer more competitive rates for larger processing amounts. Chase Merchant Services Businesses of all sizes that want to work with a traditional bank Custom quote-based prices. We reviewed the top-rated small business payment processors in terms of fees, plans, and customer support for this guide. We also made certain to include all four payment processing fee structures in our mix of providers. This will help you understand how credit card processing works and determine which is the best merchant services solution for your business. Interchange plus: The Interchange Rate is the actual fee that credit card issuers, such as Visa or Mastercard, charge merchant account providers each time a card is processed. Interchange plus providers add their fee on top of the card issuers’ Interchange Rates. Interchange plus tends to be the best merchant services options for higher-volume sellers. Tiered rates: Some merchant service providers create a tier structure of usually three to six tiers that groups several card types into separate rate tiers. This typically isn’t the best merchant services fee structure for small business. However, for some, like a business processing strictly business-to-business (B2B) sales, a tiered structure can save on fees. Direct interchange: This type of merchant service provider charges a hefty monthly fee but passes the interchange rate directly to you without a percentage markup. This isn’t the best merchant services provider for low-volume sales since you pay a large monthly fee regardless of volume. However, volume sellers of $20,000 per month or more can save with this option. High-risk merchants may have difficulty getting approval from standard payment processors, and may want to consider high-risk merchant services made specifically for them. Square is our recommended merchant account provider for small businesses and startups that want the freedom to process credit cards anywhere. Square is what’s called an all-in-one merchant services provider. That means with your Square account you can process any type of payment you wish: in-store, mobile payments, online, virtual terminal, and even invoice payments. 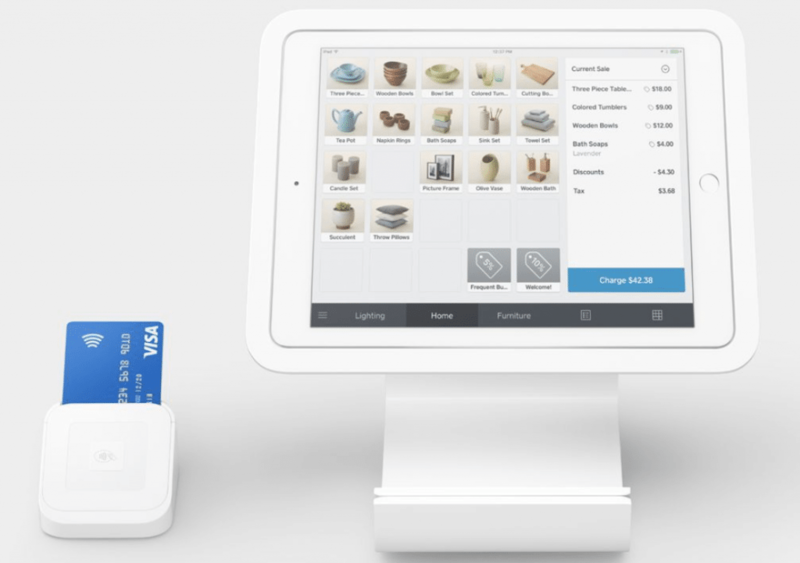 Square is hands-down the simplest merchant account provider to get started with. 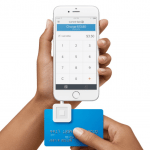 Square operates using flat-rate credit card processing fees that are transparent and simple to understand. Plus, there are no monthly, setup, or cancellation fees. The only fees you pay to Square are for credit card processing, and that amount depends on how the sale was made: in-person, online, or using the virtual terminal. Below are Square’s three payment processing rates, plus hardware costs if you need more than the free magstripe reader that’s included. For any additional information, visit our complete Square Fees & Pricing page. As soon as you create your free Square account, you can accept all types of credit card payments, plus record cash and check sales. 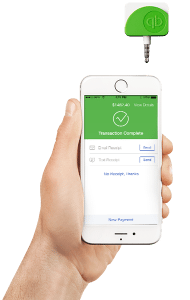 Square accepts all major credit and debit cards as well as direct cash transfers with the Square Cash App. 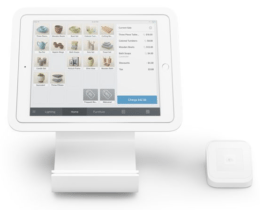 But the real benefit of choosing Square as your merchant service provider is Square’s full suite of business management tools included in your free Square POS software. With it, you can make sales, process payments, manage your inventory, customers, staff, and much more. Best of all, you can do all of this wherever you do business using your smartphone, computer, or with an inexpensive retail iPad checkout stand, shown below. 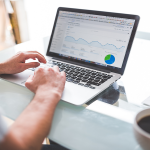 Plus, you can add an array of advanced business management features, like payroll, a customer loyalty program, or email marketing for low monthly fees. 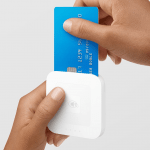 Best of all, every software and hardware component is integrated fully so that you never have connectivity or compatibility issues using Square. For most small business need and startups, Square’s credit card processing service isn’t missing a thing. Square’s only real shortcoming is that to get phone support, you have to have an access code, and you only get that with an account. But, creating an account is quick, easy, and free, so if you want to learn more, you can open an account and give them a call. If it’s not right for you, you can cancel it with no fees, so it’s completely risk-free. Reviews for Square are generally positive. Users like that Square is all-inclusive, easy to set up, and doesn’t have any contracts or approval process. Some of the negative reviews report issues with their accounts being shut down from lack of use, or trouble getting ahold of someone in Square’s customer service department. Visit our Square Review Page to read more feedback. Square delivers a seamless, all-in-one payments processing and total business management solution. That, combined with their simple, predictable payment processing fees and $0 monthly account fees, makes Square our best merchant services pick for most small business needs. Click here to sign up for your free account. Dharma’s top-rated interchange plus credit card processing services are great for high-volume sellers who process $10,000 in credit card charges per month, or more. If you sell in this volume, Dharma offers very low, completely transparent fees. One visit to the website and you’ll see that Dharma has nothing to hide when it comes to both processing and account fees. But, it has a $10,000 per month minimum, so it’s not right for many small sellers and most startups. You’ll see in the rate chart below that Dharma’s interchange plus fees are lower than Cayan. 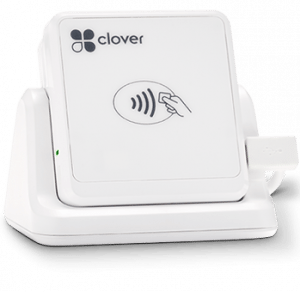 Like Cayan, Dharma integrates with a number of credit card terminals, readers, and POS systems, including native integration with Clover POS. So, you have a choice when it comes to store management systems and hardware choices. Despite Dharma’s lower interchange plus fees, Cayan tops Dharma as our recommended small business interchange plus merchant account provider since Dharma doesn’t work with sellers processing less than $10,000 per month. Dharma is very up-front about this and even has a page on its website that points startups and low-volume sellers to either Square or PayPal. Since transparency is built-in to Dharma, you’ll always know what you’re being charged for, and why. One thing Dharma does differently is pass through add-on fees, like the Visa assessment fee shown in the chart above, without a markup. Most providers, including Cayan, roll these up into a higher overall interchange plus rate. That’s one example of the differences to watch for when you compare interchange plus providers, and why Dharma’s fee transparency is a plus when you sell in higher volumes. Like most traditional merchant account providers, Dharma integrates with top-rated POS systems and ecommerce platforms via application programming interface (API) connections. But it also supports many simple-start turnkey integrations. Online sellers can pair Dharma with Authorize.net to easily accept payments on nearly all ecommerce platforms. 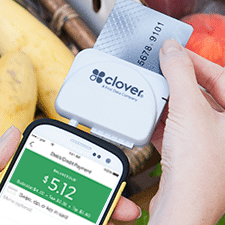 Retailers can use Clover POS for in-store selling starting at $59 per month, and Clover Go for mobile selling starting at $9.99 per month. 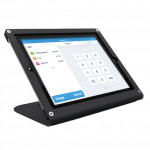 Purchase the Clover Station POS register for $1,349 and pair with Dharma for payments. Small business and startup accessibility is what you don’t get with Dharma. You’ll also have to set up separate accounts for online and in-person sales, which means two account fees and added oversight if you’re a multichannel seller. Plus, Dharma is our only top pick that we don’t consider risk-free. If you decide Dharma’s not right for you, you’ll pay a $25 account closure fee. While not a lot of money, it removes the risk-free factor the other five offer. Businesses owners that use Dharma love it. Dharma’s online reviews are great. Their customer service is super speedy. Most of the negative online reviews are from companies that were rejected by Dharma during the application process. We recommend Dharma for established businesses looking to lower their current credit card processing rates. If you have credit card sales exceeding $10,000 per month and are looking for a better deal, Dharma is one of the best merchant services providers on the market. 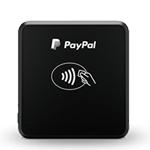 PayPal is our recommended merchant account provider for businesses that primarily sell online and want to accept PayPal payments. In fact, accepting PayPal can be a major sales driver for online sellers. Adding PayPal as a payment option can increase online store conversions and reduce cart abandonment because shoppers don’t need to type in payment or shipping information. Like Square, PayPal charges flat-rate credit card processing fees based on the type of sale, in-person, online, or via a virtual terminal. PayPal’s flat-rate processing fees are nearly identical to Square’s rates. However, PayPal charges a monthly fee to access certain services, such as the virtual terminal. This makes PayPal a costlier merchant account provider than Square if you want access to all payment processing features. As soon as you create a PayPal account, you can accept PayPal payments online and even via email request. 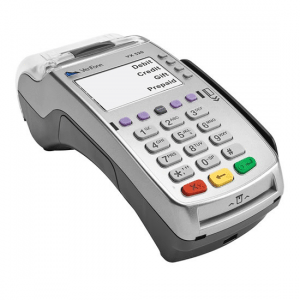 Plus, you can process all types of credit card payments and record cash and check sales. Since PayPal’s prime focus is online sales, both its basic $0 per month Payments Standard and more advanced $30 per month Payments Pro plans integrate with virtually every ecommerce platform on the market. For most online sellers, this seamless integration between shopping carts and PayPal’s secure online payment system makes PayPal the natural choice for online payment processing. PayPal’s free POS software is very limited compared to Square’s free full-featured business management system. You can accept payments and track sales, but its inventory and customer management tools are very basic. Plus, to access certain features like the virtual terminal, you need the $30 per month Payments Pro plan. This makes PayPal far more costly than Square if you need to process keyed-in payments for things like phone orders. Overall, PayPal has positive reviews. The service is widely used by many online and ecommerce businesses and is a payment method many consumers are familiar with. Reviewers like that PayPal is easy to use and is not too expensive. Some negative reviews say that customer service can be lacking. Visit our PayPal Review Page for more feedback from business owners. 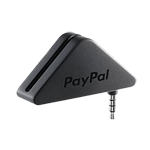 PayPal accepts PayPal payments, which makes it the best merchant services provider choice for businesses that focus on online sales. It’s fast and easy to sign up for PayPal Business to start accepting online payments right away. Fattmerchant’s direct-interchange model can be a money-saving option for sellers processing around $20,000 per month or more in credit cards, especially if your average transaction is more than $20. Fattmerchant is one of few merchant services providers that offer a direct-interchange fee structure to smaller businesses. 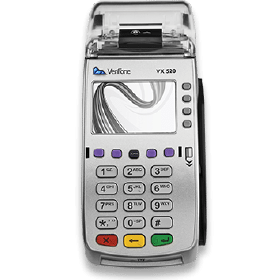 This model gives you the lowest possible interchange rate since there is no markup on card issuer fees at all. But you do pay a hefty monthly fee to Fattmerchant, which can override the low rates for small sellers. In the table below, you’ll see that Fattmerchant has the lowest per-sale credit card processing rates of our 7 top contenders. This is because Fattmerchant passes the actual card issuers’ interchange and assessment fees on to you with no percentage markup at all. But, it has high monthly fees, which we examine in detail below. A per-transaction fee of 8 cents to15 cents per transaction, depending on the type of sale, in-person at 8 cents, or online at 15 cents. You pay the monthly fee whether you make zero sales or 1,000 sales: If you’re starting up, you’ll pay the monthly fee even if you have $0 in sales. For a startup, $99 per month can add up when very little is coming in. You pay monthly fees per-account: If you sell in-store and online, you need two Fattmerchant accounts. So, for two $99 accounts, you’ll pay $198 per month to access all of your needed payment methods. Then you still have to tack on interchange and per-transaction fees per sale. So, that’s the downside of Fattmerchant. You pay a hefty monthly fee per payment solution and pay it no matter your sales. Square, by comparison, costs you nothing if you sell nothing. Plus, you can access all payment methods within your one free Square account and use Square’s powerful mobile and in-store POS software for free, too. So, for a retail store that’s processing about $20,000 in credit card sales per month, Fattmerchant can provide substantial savings. But for a low-volume startup, the monthly fees add up. And remember, if you sell both online and in-store you need to add another $99 in monthly fees to your totals because you need an account for each payment processing solution you use. Fattmerchant accepts a full range of in-store, online, and mobile payments, including all major credit and debit cards, ACH checks, and several options for cash transfer payments. 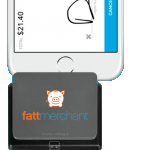 Plus, Fattmerchant leverages technology, perhaps better than any other payment processor on our list. Although Fattmerchant has only been around since 2014, it’s poised to become the next big thing in small business payment processing. Add in its 24/7 Customer Service, complete technical support, and powerful set of sales management and reporting tools built into your payments portal, and Fattmerchant is a true powerhouse payments option. Plus, Fattmerchant is backed by Fifth Third Bank, so it’s not a fly-by-night operation. Fattmerchant’s intuitive payments portal is accessible via computer, tablet, and smartphone. Like Dharma, Fattmerchant is missing small seller-friendly pricing. Its monthly fee makes it an expensive choice for startups and micro sellers, and for multichannel sellers that need three $99 per month accounts to handle in-store, online, and mobile sales. When you compare the processing costs between Fattmerchant and Square, Fattmerchant is more expensive for sellers processing less than $20,000 per month in credit cards. The direct-interchange fees are unbeatable, but the monthly fees add up for low-volume or multichannel sellers. Reviews for Fattmerchant are generally positive. Businesses like that the processing rates are super low and a great value for larger businesses, even with the monthly fees. A large portion of the negative reviews for Fattmerchant are regarding the application process and applications not being reviewed. However, there seem to be few complaints from businesses once they are using Fattmerchant. Check out our Fattmerchant Review Page for more details. Fattmerchant’s monthly fee + direct interchange model is worth looking into if you’re selling $20,000 per month or more in credit card and debit card sales, especially considering its across-the-board integrations, nice management tools, and 24/7 support. If you’re a high-volume seller, using Fattmerchant can save you a lot in processing fees. QuickBooks Payments is a convenient way to process all types of credit card payments if you use QuickBooks to manage your business sales and finances. With it, you can process in-store, and mobile payment sales, accept credit cards for invoices and even receive cash transfers via ACH. As shown below, QuickBooks Payments’ $0 per month plan has higher processing rates than the $20 per month plan, especially for Swiped (in-person) sales. If you primarily sell in-store or via mobile payments, the $20 per month plan can be the most cost-effective of the two. If you want to use QuickBooks to manage in-store sales, you’ll need to purchase QuickBooks’ full-featured POS software. That starts at $1,200 for the basic version and goes up to $1,900 if you operate multiple locations. It sounds expensive, but note that it’s a one-time cost, not an ongoing monthly fee like most top POS systems. So, it can be a cost-effective POS option in the long run. QuickBooks Payments fully integrates both credit card and check payment processing into your QuickBooks system. QuickBooks accepts all major credit cards and ACH payments. If you use the QuickBooks POS, you can build out a complete checkout register like the setup below using hardware peripherals and card readers available with a-la-carte pricing. Pair QuickBooks POS register with QuickBooks Payments for all-in-one retail management. Another plus for growing businesses is QuickBooks Payments’ customized rates for high-volume processing. The flat-rate plans are geared for businesses that process less than $7,500 per month in credit card payments. But if you process over that amount, QuickBooks Payments can customize an interchange plus rate plan that can lower your credit card processing fees. The option of moving from flat-rate to interchange plus pricing with one provider is great for a growing business. Reviews for QuickBooks Payments are generally positive. 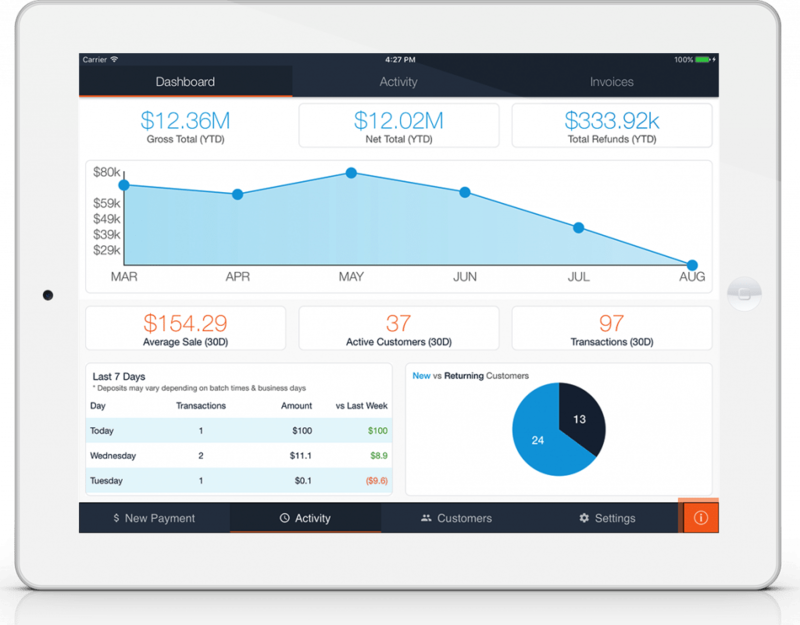 Users like the predictable, flat-rate payments and that it integrates seamlessly with QuickBooks accounting software. However, some reviewers report long wait times to receive funds and inconsistent customer support. QuickBooks Payments is a natural fit if you already use QuickBooks to manage your business, or are planning to get started with QuickBooks, The fact that it provides both competitive flat-rate and interchange plus pricing options is a bonus for growing businesses. Click here to get your free quote. Cayan tops our list of best merchant services providers for growing businesses because interchange plus plans provide lower processing rates than flat-rate services when you reach a certain sales volume. But for sellers focusing on specific markets, like B2B or government sales, tiered pricing can provide even more savings. A Cayan account representative can help you determine the best fit for your selling needs. Usually, that will be interchange plus, so that’s what we’ll cover here. Cayan’s has a monthly account fee plus charges credit card processing fees per-sale. Here’s an overview of these fees and we’ll explore what they meant to your specific business in detail below. 1. Average ticket amount: In the following example, you’ll see that Cayan has a much lower Visa card processing rate (2.01%) than Square (2.75%) for retail processing. But, Cayan also adds a 25 cents per-transaction fee, unlike Square. If you sell big-ticket items, Cayan’s lower rate tends to beat Square. But if you run a high volume of small-ticket sales, Square’s no per-transaction fee model beats Cayan. 2. Credit vs. Debit card purchases: With interchange plus pricing, you pay far less to process a retail debit card sale (.55%) than a credit card sale (2.01%). If your customers tend to use debit cards, interchange plus can cost far less than a flat-rate provider like Square which charges the same fee (2.75%) for both debit and credit cards. 3. 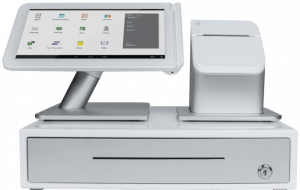 Add-on needs like a POS system: Interchange plus providers like Cayan don’t provide a free full-featured management system to match Square POS. If you need POS software to track inventory, sales, customers, and employees, you’ll have to integrate with another POS provider, like Lightspeed at $99 per month or ShopKeep at $69 per month. Keep in mind that these monthly costs can override the money saved on processing fees. At a certain sales volume, you can save money by using a traditional merchant account provider like Cayan. It can customize a complete payments processing package, based on your specific needs and volume, and process payments from all major credit and debit cards, ACH check, and cash transfers. One of the biggest benefits of using Cayan is that it integrates directly with many top-rated POS systems, ecommerce platforms, and provides an excellent mobile payments solution. You can use Cayan to sell anywhere you do business and use the exact business management or POS software you like. Plus, you can negotiate for lower rates based on your sales volume and transaction types as you grow. Merchant account providers like Cayan offer a lot of flexibility but making it all work requires more setup and oversight compared to a flat-rate provider like Square. All-in-one simplicity is what you don’t get with traditional merchant account providers, Cayan included. You need separate accounts to manage in-person and online payments, which requires more setup, oversight, and monthly fees. Plus, you need to understand how credit card processing fees work to ensure you’re getting the best rates. The no-added-fees aspect is also missing with Cayan. You can encounter batch fees and other add-on fees based on your specific account and business type, unlike flat-rate providers like Square. But at certain sales levels, the savings you garner with Cayan’s low interchange plus rates can be worthwhile. That’s why we recommend providers like Cayan for established and growing businesses, not for startups and small-volume sellers. Reviews for Cayan can appear mixed, but that is to be expected for a merchant service provider of Cayan’s size. Negative reviews of Cayan tend to report unexpected fees. However, most reviews say that Cayan has great customer support. Reviewers also like that Cayan is more flexible than a flat-rate processor. Visit our Cayan Review Page for more feedback from business owners. Cayan offers low rates and builds plans to meet your unique selling needs, whether in-store, online, mobile, or a combination of all channels. Plus, Cayan has no sales minimums, locked-in contracts, or account startup or cancellation fees, making it another no-risk option. Best of all, Cayan integrates with many popular POS and ecommerce platforms. Chase Merchant Services (formerly Chase Paymentech) offers merchant services that are a great alternative for any business looking to work with a traditional bank, especially if your business accounts are with Chase. Having Chase as both the processor and receiving bank in transactions can provide speed and security. Chase Merchant Services has entirely quote-based pricing. This makes it hard to compare them directly against other providers, but they do have flexibility in that they offer several different kinds of payment options and plans for small, medium, and large businesses. Chase offers both interchange plus pricing like Cayan and flat-rate pricing (like Square). Since they are quote-based, there is wiggle room to negotiate a good deal. We recommend opting for interchange plus pricing if possible. Chase accepts all major credit and debit cards, as well as ACH payments and select cash transfers. Chase has options for selling in-person, over mobile, and online. Chase’s mobile payment processing app is free to use for business customers and is surprisingly feature-rich and easy to use. 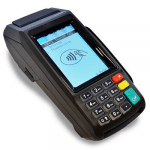 As far as hardware, businesses can choose from a variety of EMV-compliant terminals and either rent them or purchase outright. For online payments, Chase has a proprietary payment gateway, but also partners with several other gateways such as Authorize.net. So, Chase should be compatible with about any website or ecommerce platform. Chase has flexible rates with room to negotiate. And, only having to deal with one financial institution can be a huge relief for many business owners. 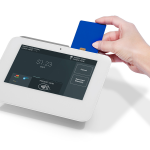 However, like Cayan and Dharma, Chase does not offer a plug-and-play solution like Square that comes with full POS features. Using Chase will require an application and some setup time. Chase Merchant Services has good reviews, especially for a financial institution of their size. Overall, Businesses like seaming with Chase and like the security that comes with using a bank as their payment processor. Any small business person needs to understand how credit card processing fees work before deciding on a merchant account provider. The best merchant services provider for one business isn’t necessarily the best for another. 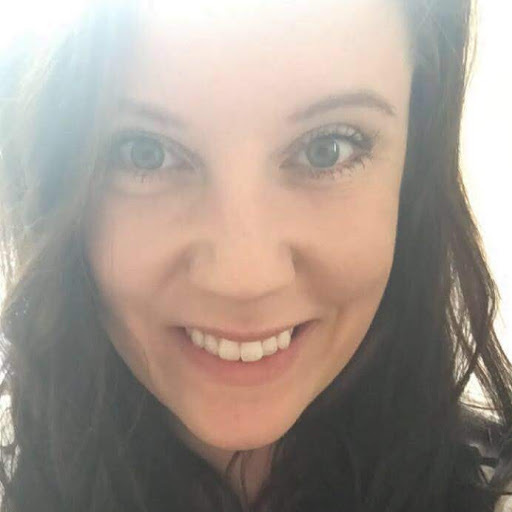 A retail store selling $20,000 per month in credit card sales and needing a POS system has very different payment processing requirements than a high-volume ecommerce seller. If you’re launching a new venture or have sales volumes less than $20,000 per month, you can’t go wrong with Square. It’s all-in-one simplicity, low flat-rates, and free POS business management tools make it practically unbeatable for most small business needs. We have a small business and doing business with Authorized.net (for ACH processing) and TSYS (for all major credit cards processing). Since we changed our identity from LLC to Inc. we are having some issues from TSYS. Now we are looking for another merchant company who can help us with our business. Please advise which is best merchant company you recommend for us. Thank you. I know that Cayan works with Authorize.net and they have some very competitive interchange-plus rates. 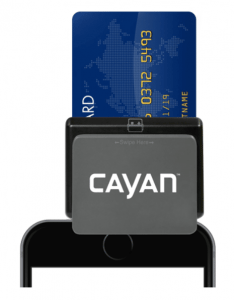 You can find out more about Cayan and contact them from our article on how credit card service and fees work. Authorize.net is one of the leading payment gateways, so if Cayan isn’t the one for you, Authorize.net itself has it’s own merchant account program, plus most major merchant account services with it. You should have no problem finding another service. Hope this helps, good luck! working in merchant service company, I think I can get lower rate with better POS. Hi Ajay, I’m not quite sure what your question is. We’ve got some great options in our Best Merchant Services Provider article. Feel free to reach out if you do have any questions. Is it necessary to get your business registered before applying for merchant account? Most payment processors require that you have a business checking account for the deposits and to set that up you need to have at least a Doing Business As (DBA), which you can easily get in most states. Once you have that, you can also apply for a sales tax certificate. With a business bank account and the sales tax cert, you’re setting up everything correctly from the start, too.